In terms of tourism, Umbria seems to suffer the misfortune of sitting in the metaphorical shadow of Tuscany, its neighbor due west. Why? Compared to Tuscany, Umbria falls short along several dimensions. It’s one-third the size, making it the smallest region in Italy, and it has no large cities. Umbria is also the only region in Italy without a coastline or border with another country. 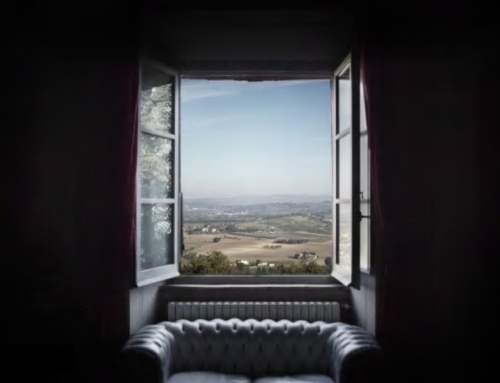 Although Umbria hasn’t achieved the same celebrity and allure in pop culture (film, novels, lifestyle magazines) as has Tuscany, its “shortfalls” actually offer many advantages to visitors interested in experiencing Italian art, history, culture and cuisine. With fewer tourists, its cities have remained more authentic and less pretentious. With shorter distances and less traffic, it’s an easier region to navigate between cities by car. Costs of both accommodations and restaurants tend to be more affordable. However, like Tuscany, Umbria has been blessed with extraordinary natural beauty. Dominated with picturesque forests and rolling valleys whose colors change with the seasons, Umbria has been dubbed Italy’s “green heart.” Active travelers will enjoy its opportunities for hiking, trekking, mountain biking, free climbing, caving, paragliding and canyoning. The culinary riches of Umbria—such as truffles, local prosciutto, sausages, handmade pastas, extra virgin olive oils, mushrooms, game, and cow and sheep milk cheeses—will dazzle food enthusiasts. A hearty meal might be paired with Umbria’s most popular red wine, Sagrantino di Montefalco. The region is dotted, too, with wine estates and vineyards that offer tastings of local varietals. Matteo Della Grazia and Daniela Mencarelli are co-founders of Fuoritinerario: Discover Your Italy, a boutique tour company that designs personalized itineraries so visitors can experience authentic Italy. Although their tours cover all of Italy, the company is based in Perugia, which is both a city and province in Umbria. 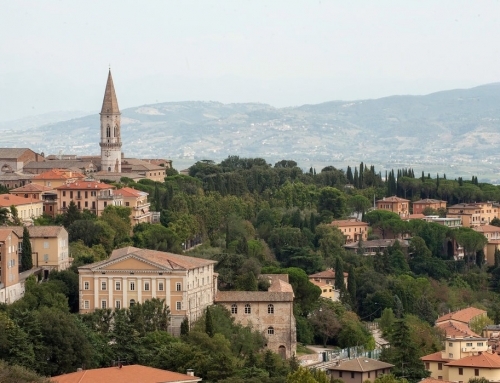 Perugia, the largest city in Umbria, has a fascinating old town perched atop a high cliff with steep slopes. An escalator allows visitors to reach the top that offers breathtaking views of the facades of medieval palaces and churches as well as the Umbrian hills, depicted by Renaissance painters such as Perugino, Pinturicchio and Raphael. The city is home to several significant museums including the National Gallery of Umbria, with its collection of Renaissance paintings and the National Archaeological Museum of Umbria, which holds artifacts from Etruscan, Umbrian, and Roman civilizations. A lively city, Perugia hosts a variety of cultural events dedicated to music, literature, journalism, and food and wine throughout the year. Among the most popular: the Umbria Jazz Festival and the Eurochocolate Festival, inspired by the city’s historic Perugina chocolate factory. One of the most ancient settlements in central Italy, Orvieto is built at the top of a towering cliff made of volcanic stone, called tufo. Etruscans chose this spot because of its strategic defensive position. When forced to escape Rome during the Middle Ages and the Renaissance, Popes arrived here for the same reason. The city has a unique underground city with thousands of caves and tunnels, parts of which can still be visited. The Orvieto Cathedral—one of the most visually stunning in all of Italy—has a rose window and intricate mosaic façade with Signorelli frescoes inside. Visitors strolling the maze of narrow streets will be charmed by the handicraft workshops, art galleries, food market, wine bars and family-owned restaurants offering local cuisine and Orvieto Classico, the region’s renowned white wine. Assisi, the most visited destination in Umbria, is the legendary birthplace of St. Francis. Here, early communities of Franciscan Friars began to spread their message of poverty, charity and brotherhood. The Basilica that houses his tomb is visited both by pilgrims and art lovers from around the world who come to see its decorations created by some of the most important painters of that time (including Cimabue, Giotto, Lorenzetti, and Martini). In Spoleto, visitors can enjoy the slow pace of local life in an enchanting small town that was once surrounded by ancient city walls. Dominating the city center is La Rocca Albornoziana, an imposing 14th-century fortress built at the top of the hill. The Towers Bridge is another impressive medieval construction built to carry water into the city through an aqueduct. Spoleto is famous for a summer cultural festival, named “Festival of 2 Worlds” or simply “Spoleto Festival,” that offers an inspiring mix of classical music, opera, theatre, and ballet as well as art exhibitions. Set in a secluded corner of northern Umbria bordering the Marche region, Gubbio has maintained its charm over many centuries. The almost vertical expansion of the old town along the steep slope of the Mount Ingino is an example of the skillful ability of builders of the Middle Ages who developed the city within its defensive walls. Gubbio still preserves one of the most authentic religious events, the “Corsa dei Ceri,” a race dividing participants into three groups, each one supporting one of the three patron saints of the city: St. Ubaldo, St. Giorgio and St. Antonio. As they run, the groups carry towering pedestals with statues of one of the saints on top. Locals are truly involved in the event which, more than a reenactment, is an authentic expression of popular devotion.